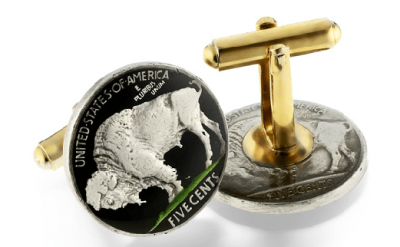 Actual coin from Germany handmade into a one of a kind cufflink. Black background featuring an eagle. Made in USA.